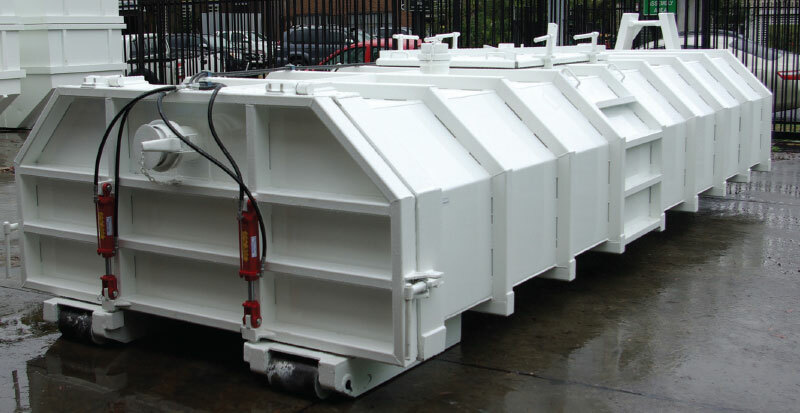 Hooklift Bins with curved sides for optimum strength and durability. Specifically designed to contain wet and studge waste. Bins are fully enclosed and fitted with a rooftop inspection hatch. Sludge bins are transported and emptied by vehicles fitted with hydraulic hooklift loader.